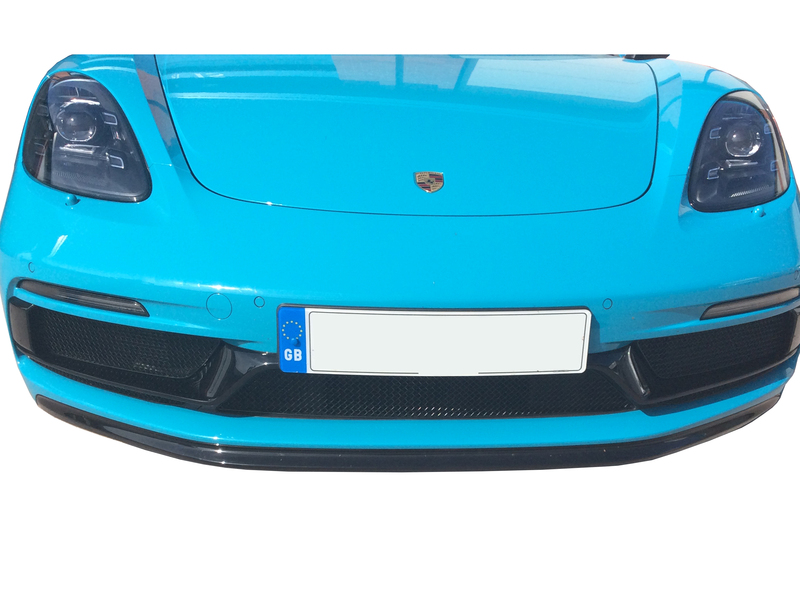 Zunsport's brand new specially-designed grilles have everything you need to keep your car protected while offering an added edge to the style and design of your Porsche Boxster or Cayman 718 GTS. Created from excellent quality stainless steel, there's a solution whatever your style. Why Add A Grille To Our Porsche? If you're a fan of modifying and improving your car, then a grille can be the perfect way to differentiate your vehicle without requiring an extended stay at the body shop or a significant amount of downtime. For a Porsche Boxster or Cayman 718 GTS, a grille can offer a level of protection for interior parts of your car, including the radiator and intercooler - invaluable for rocky or less smooth conditions where rocks could get through the basic supplied grille with ease. One of our top sellers at Zunsport is the grille for the 991.2 GTS - an excellent example of a sporty, highly customisable car that can look amazing with added modifications. This concept also applies to the new Porsche Boxster/Cayman 718 GTS grilles, both of which are highly customisable and can be elevated with the right parts. We know grilles. At Zunsport, we know the needs of our customers, and excellent quality grilles with protective qualities, effortless style and functionality are a must. Not only do we stock default model grilles such as ones for the Porsche Boxster/Cayman 718 GTS that are coming soon, we also evolve and expand our collection with development vehicles at an excellent price; allowing customers to bring their car to us to create the perfect custom grille, which can then be produced on a larger scale. This Should Be “Prestige Custom Grilles"
Working with our customers, we're able to produce the best grilles in the industry that are more than worth their cost, with a stunning finish that will make other car enthusiasts turn their heads. See our full range of grilles today or contact us today to find out more.